Although Abu Dhabi has abolished 20 km/h speed buffer, Dubai still has it. 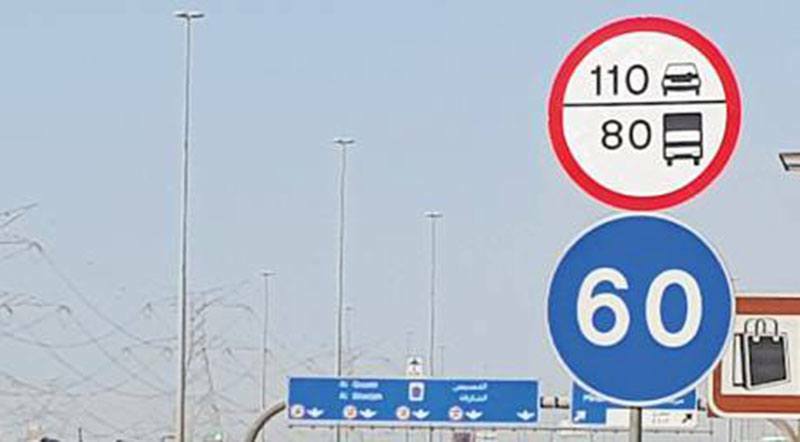 The police authorities across the Emirates are considering same speed limit and speed margin for all roads in the UAE. This was discussed during a meeting at the Dubai Police Officers Club last Thursday. Major General Mohammad Saif Al Zafein, the Federal traffic Council and directors of Traffic Departments in the UAE and delegates of pertinent government division and bodies concerning to traffic and roads, examined the proposal on same speed limits and speed margins. They also changed some sections of the Federal Traffic Law. “We discussed the issue of having a speed limit on all roads in the UAE and cancellation of speed margins in the UAE. We decided to give this matter more time for further detailed and comprehensive consideration, in order to identify how much it helps reduce traffic accidents,” Maj Gen Al Zafein said. Although Abu Dhabi has abolished the 20 km/h speed buffer, Dubai still has it. The council discussed the road traffic mortality index in detail and pointed out a decrease by 8% in the last 8 months. Maj-Gen Al Zafein praised UAE police departments who worked hard to raise awareness among motorists and maintained traffic discipline. “This is considered to be the main goal for traffic and patrols directorates. Combining our efforts will reduce traffic deaths,” he said.